You gotta love Pinterest. 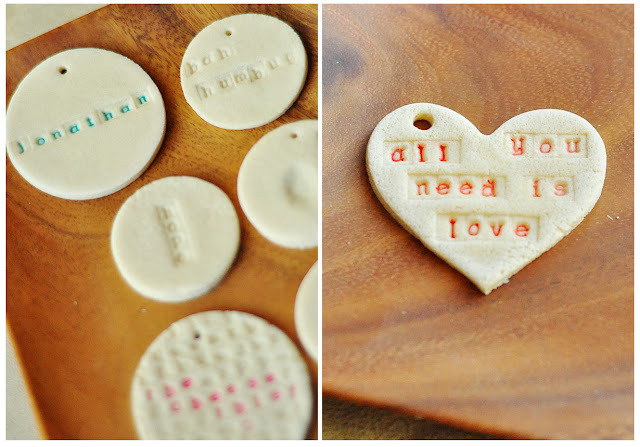 I find so much inspiration on there such as salt dough ornaments. 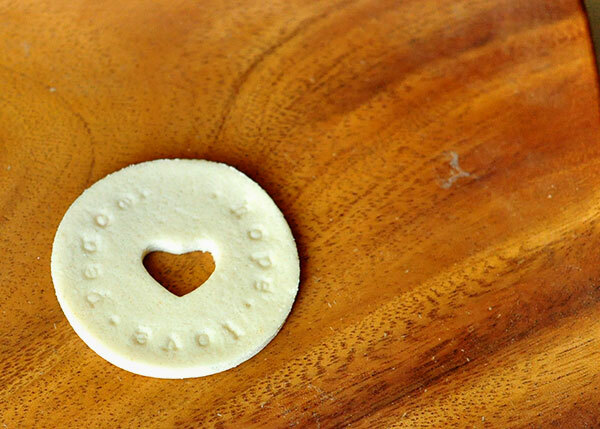 I've never even heard of salt dough before. Mix all ingredients together in a big bowl and kneed until play doh consistency. 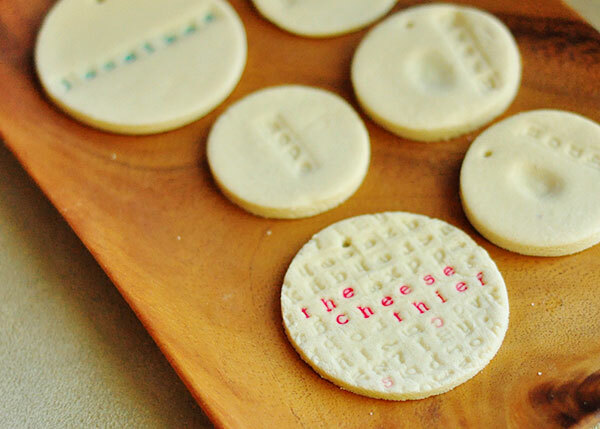 Roll out, cut and out with cookie cutters. 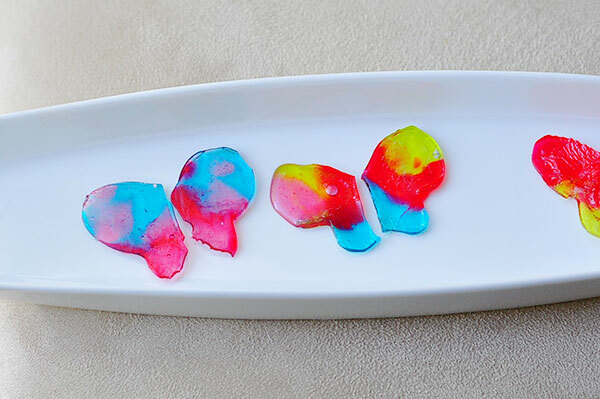 I used stamps to decorate, but you could also let it dry completely and paint on them. 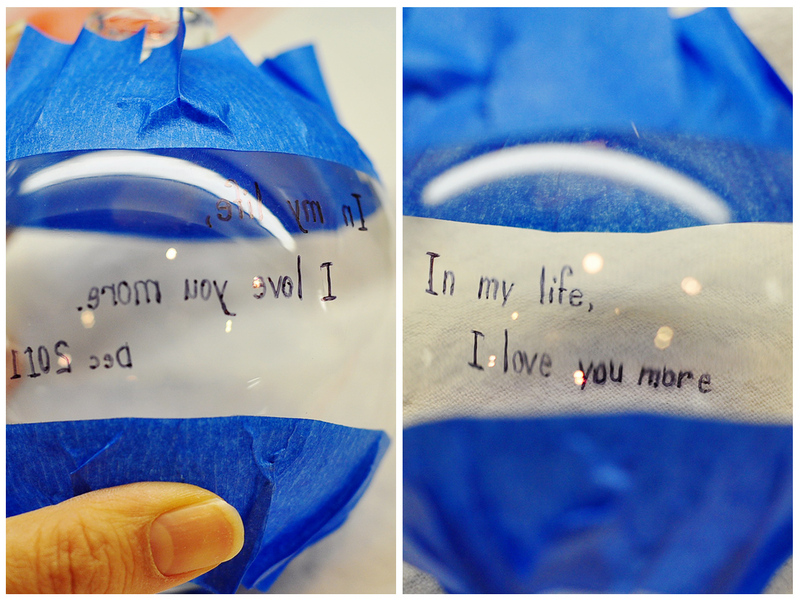 Below are gift tags that I made. Be sure to cut the holes on the top with a straw before the dough dries. Drying can take up to three days. You could do it in the oven at a very low temperature (200 degrees) but the ornaments will puff up a little. Update: I have received many questions about where how i stamped the text. 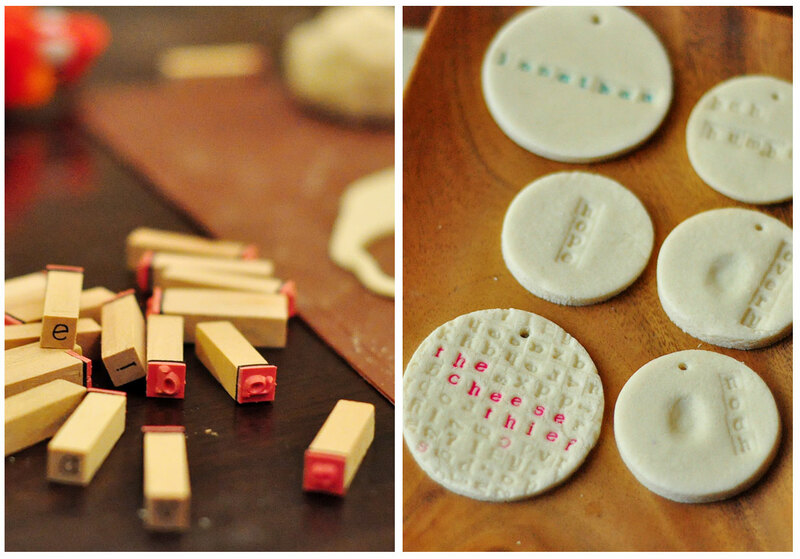 I used rubber stamps similar to these ones here on amazon. To color the stamps I used a stamp pad for some and just a crayola marker for others. Left image are the stamps I used. 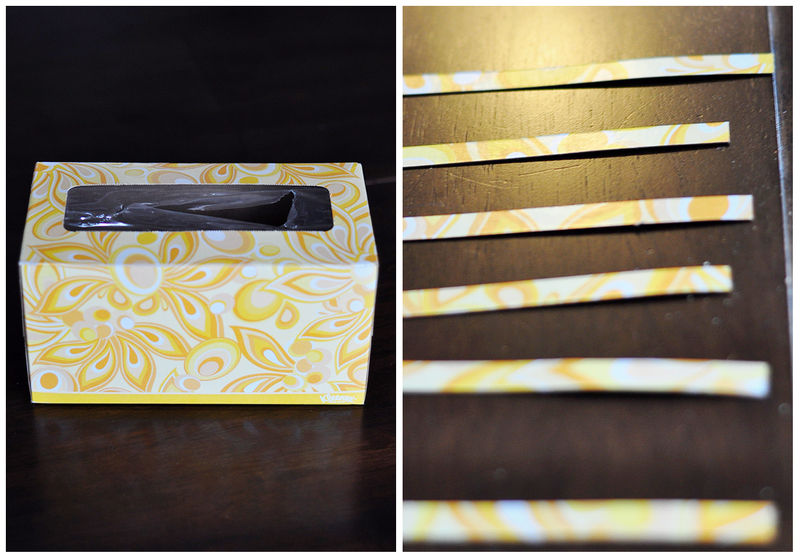 Purchased at the dollar section from Michaels. The two ornaments on the far right that have the little indent are thumb prints of my daughter and nephew. 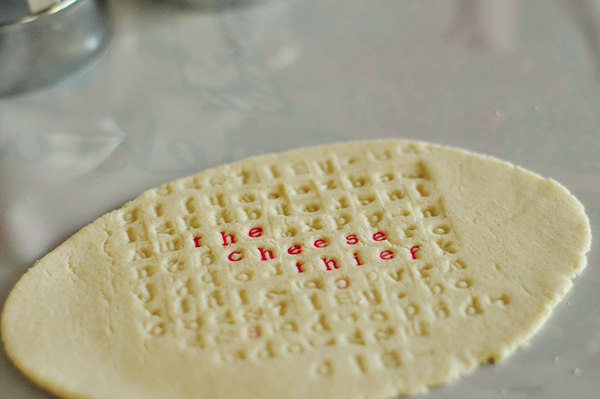 Stamping before cutting the shape out makes it much easier. 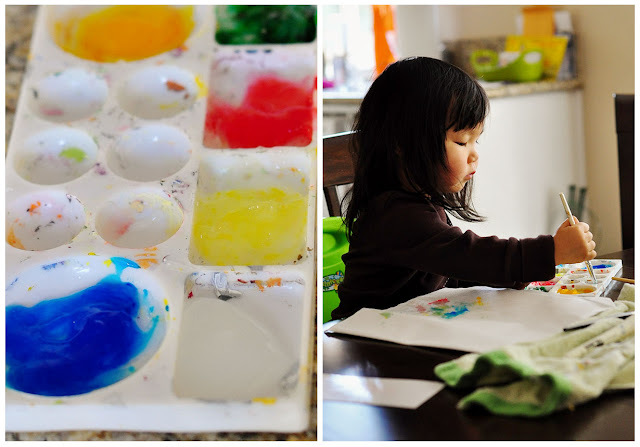 Let the kids make some too! The one on the left is dry. I was a little surprised at the texture after it dried. My friend came over and asked me if he could eat one. I recently saw a marbleized nail technique on Pinterest and was so inspired to try it. After several attempts I finally got the nail technique down and decided to do something more unique with it. 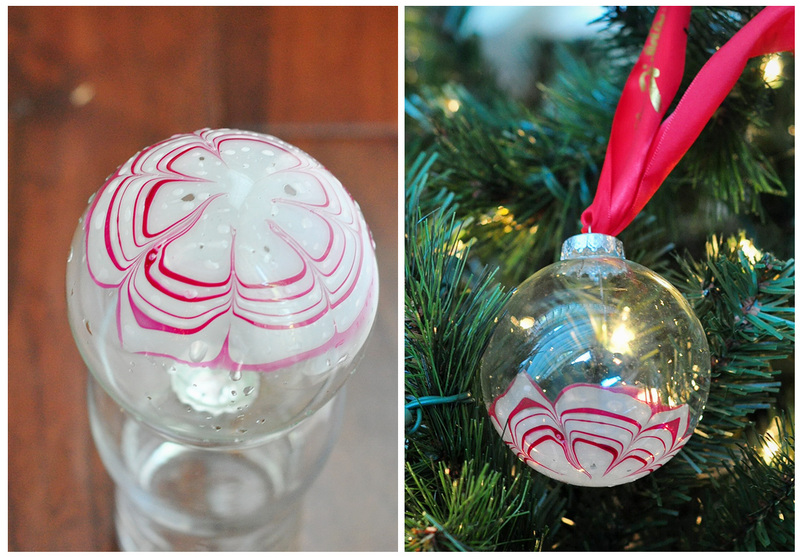 Taking the glass ornaments that I purchased from Michaels, I created a water marble ornament. You can check out my video tutorials on how to marbleize an ornament and how to water marble nails. I used Orly French White and OPI All Lacquered Up for these images. These nail polish brands seem to work the best for this technique. 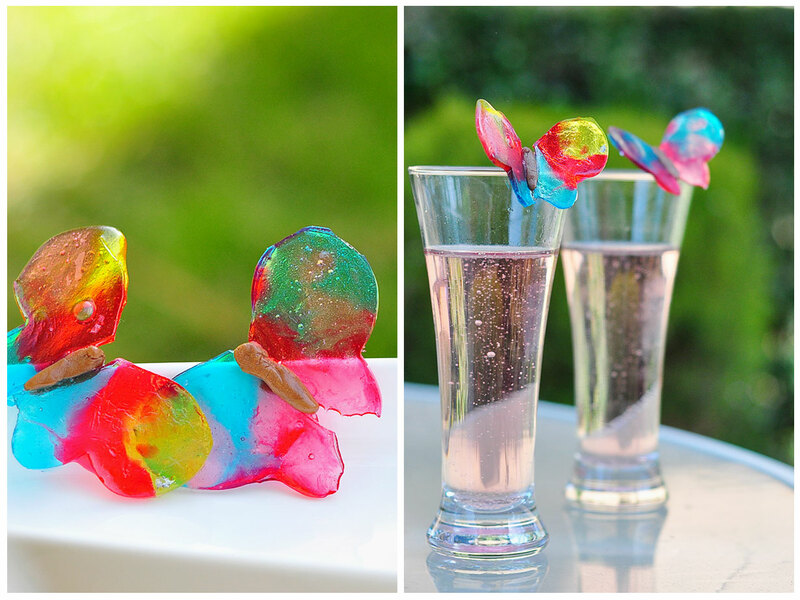 Drip the nail polish into the filtered water and use a toothpick to create your own pattern. 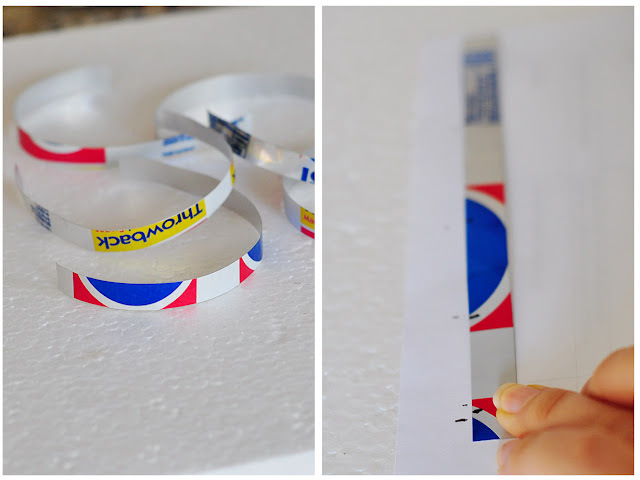 I also created a monogrammed marbleized image by cutting out the letter A from a sticker (you could user painters tape, I just had this sticker on hand) with an Exacto knife. 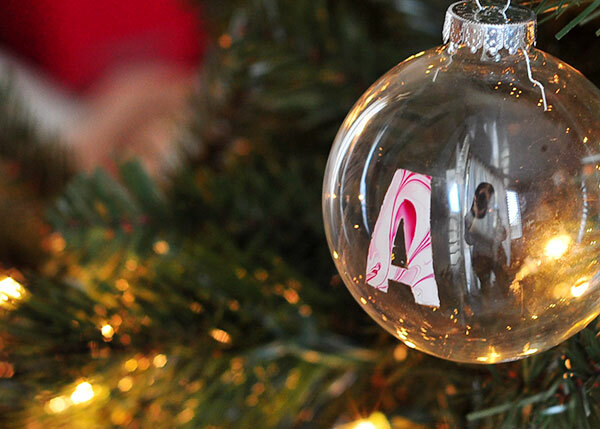 I used the negative part of the sticker (negative part meaning outline) and stuck it onto the ornament. Painted one coat of clear nail polish then another coat of white nail polish. Then I dipped the ornament into the water with the marbleized nail polish. 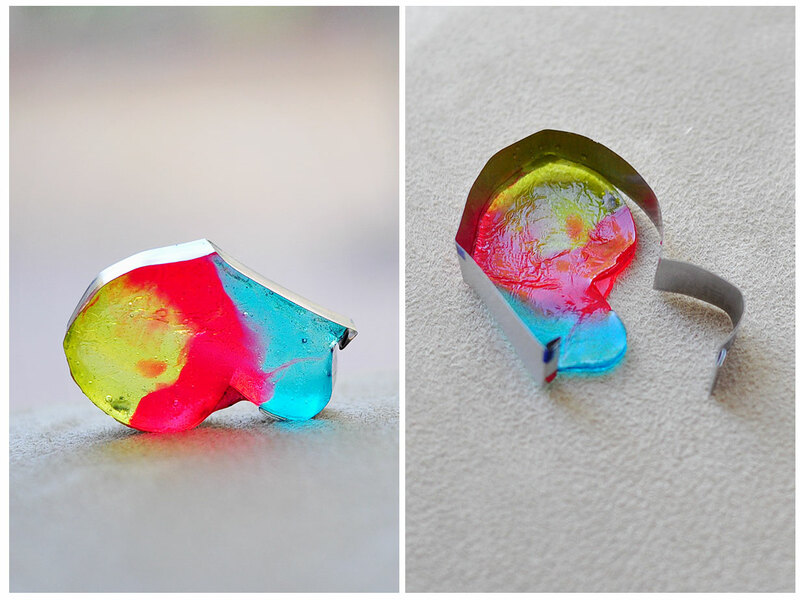 Removed the sticker and used nail polish remover to clean up the edges. Using a sticker or painters tape cut out a letter or design. 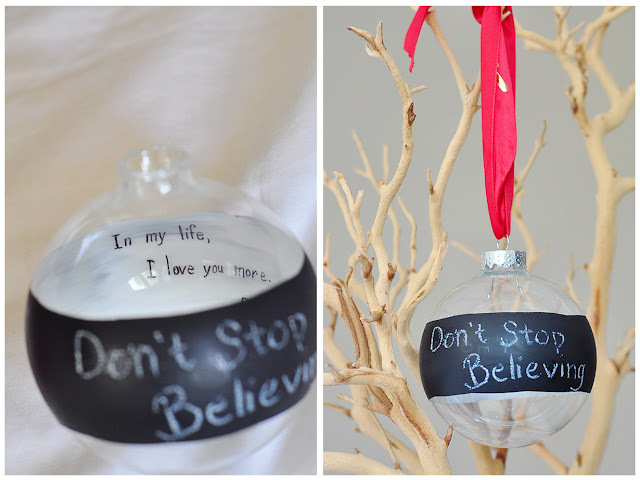 Stick onto ornament and paint one coat of clear. 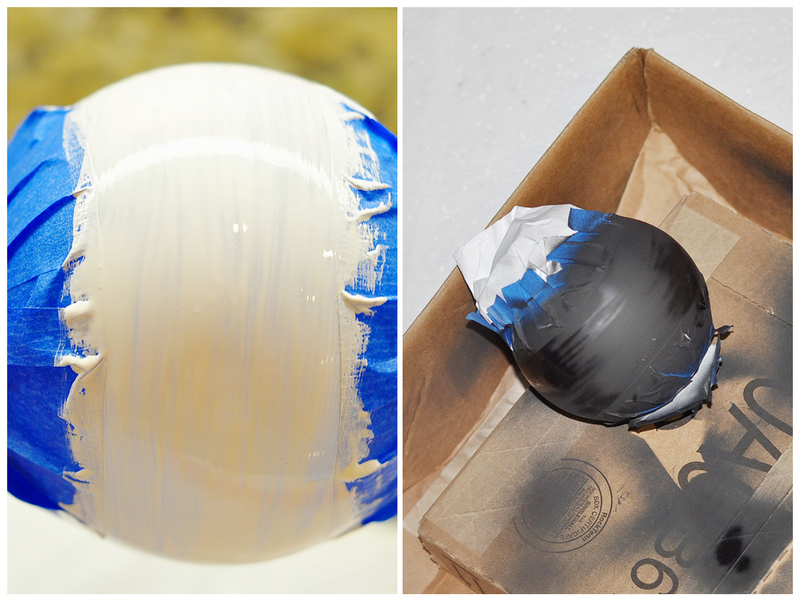 The clear coat will help from the colors seeping though the edges of the tape. Then paint base color, I used white. 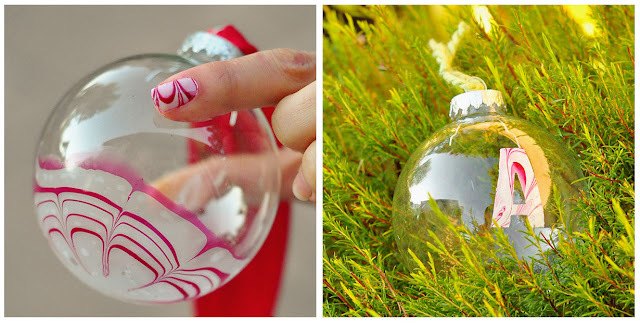 Then dip the ornament into the nail polish marbleized water. 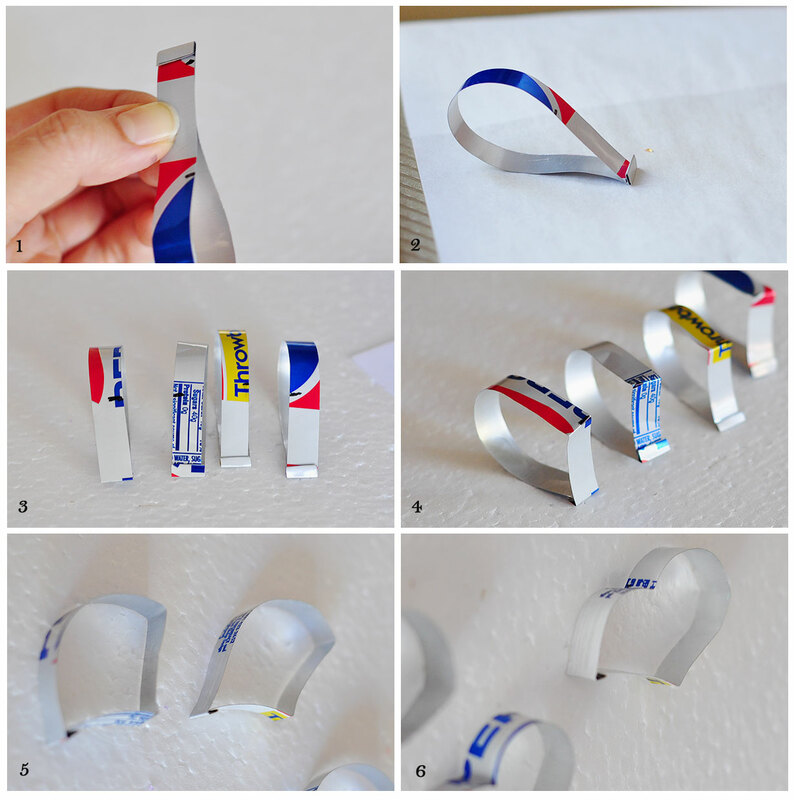 Remove the sticker and clean up edges with nail polish remover. I love rosemary for so many reasons. 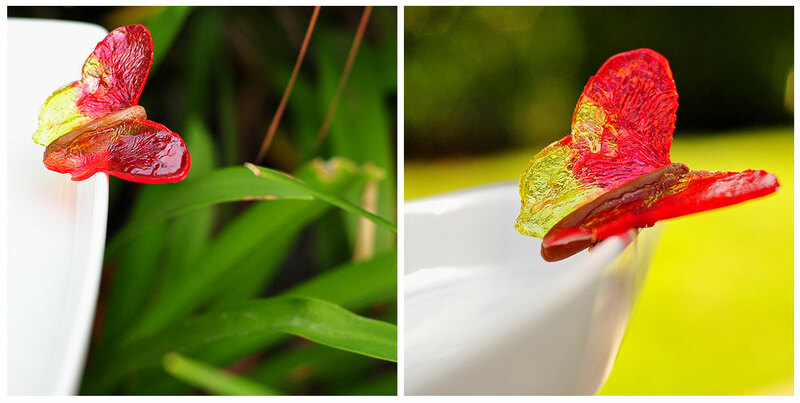 It's such a hardy plant that is so easy to propagate. 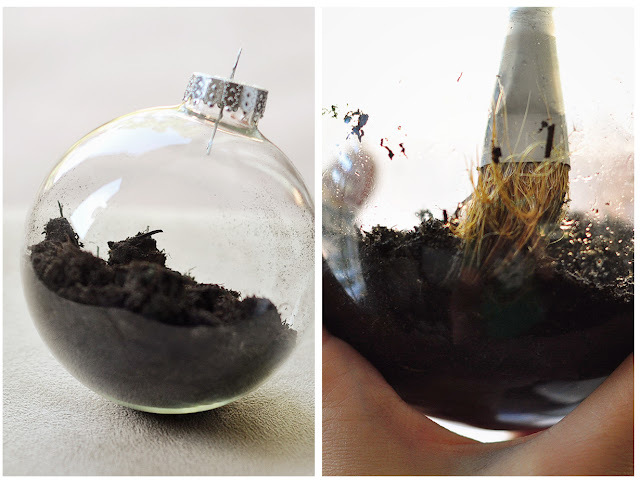 To propgate simply snip some new growth remove the bottom leaves and stick it into the soil. The clipping should root without much effort. 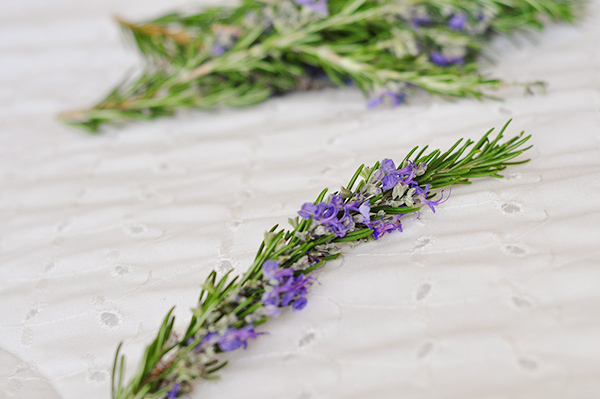 Rosemary is a great herb to cook with. During the holidays we usually make Roasted Rosemary Garlic Potatoes, which just makes the house smell divine. Towards the late summer our rosemary starts to flower with these beautiful purple flowers. 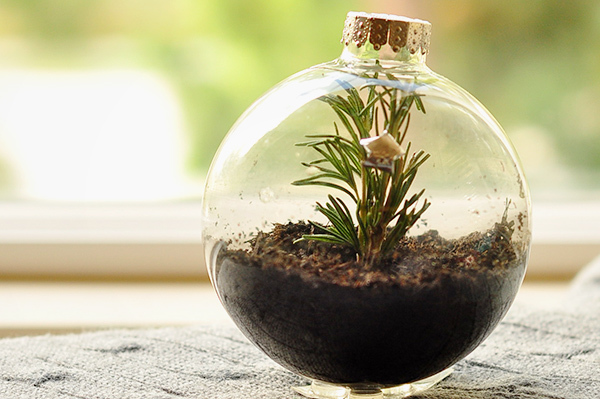 I thought it would be great to someone save these flowers, and because rosemary is such a hardy evergreen plant it would hold up to being put into glass ornaments. 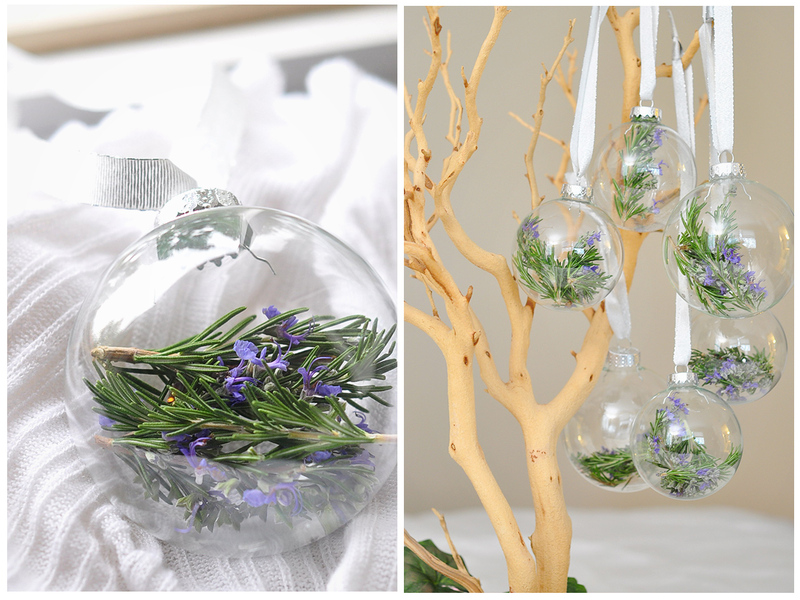 Stuff the rosemary into glass ornaments. Who doesn't love chalkboard paint? For me, I love the reminiscent quality of chalk and how it brings me back to childhood, where my biggest concern was if I would get the coveted job of cleaning the chalkboard erasers by tapping them together outside. The puff of white dust always looked so magical to me. I am not a sports person, but I love seeing Lebron James start the game by throwing the chalk dust into the air. The white dust looks like a signal, a declaration that this is the beginning, that he has arrived and that nothing is going to stop him. 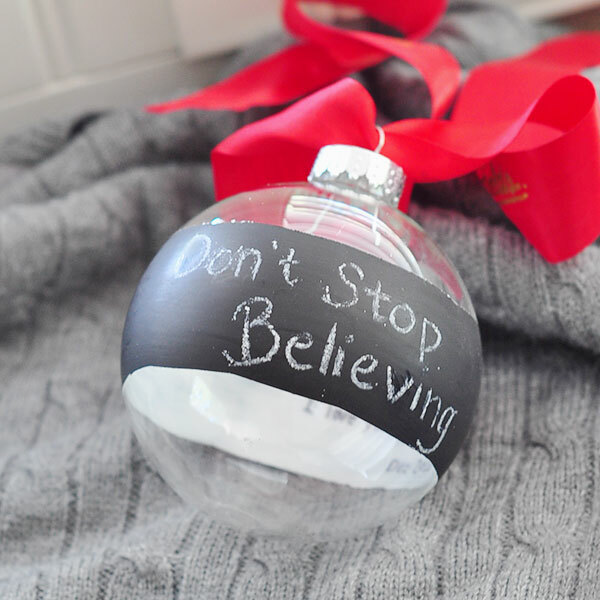 Here is my tutorial on how to create a chalkboard paint ornament that has a hidden message in the interior. 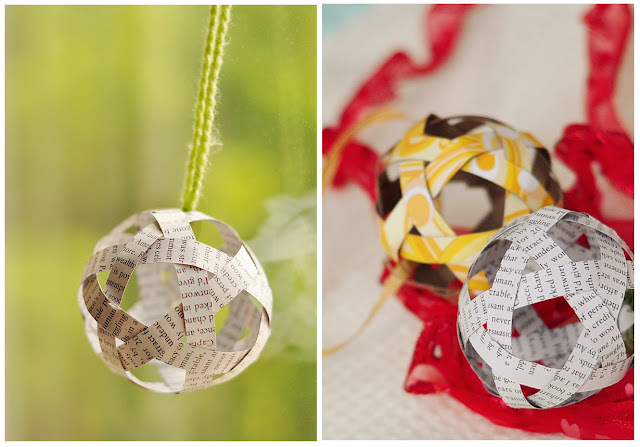 Tape ornament around where you do not want it to be painted. I cut "fringe" to make it easier to maneuver. 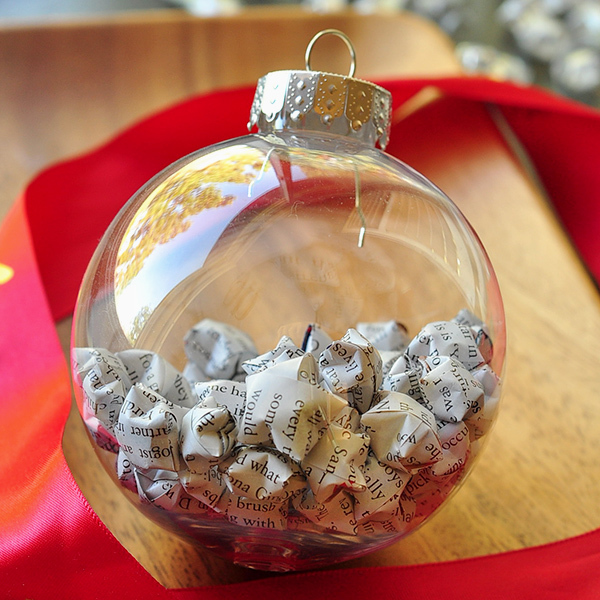 For this ornament I wanted to have a message that could be also seen on the inside. Write a message backwards with a sharpie so when read through the glass it will be forwards. It did take me a little bit of thought, but if you mess up you can use nail polish remover to wipe away the sharpie. 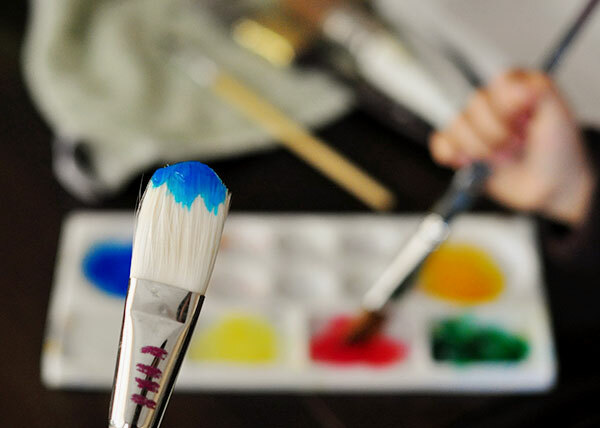 Paint over the words you wrote with white primer. When dry paint over with black chalkboard paint. I used chalkboard spray paint. Are you sick of my star posts yet? If you are, I have good news, this is my last one. If you aren't please read on. This is post is inline with the Pinterest Challenge, where I took inspirations from Pinterest and created something with the inspirations. 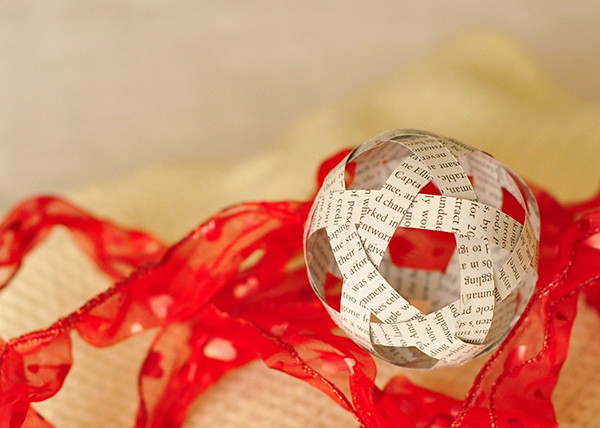 My inspirations were Book Page crafts such as the Book Page Wreath and filled glass ornaments. This is what I came up with. How to fold stars here. Note: Video is updated! 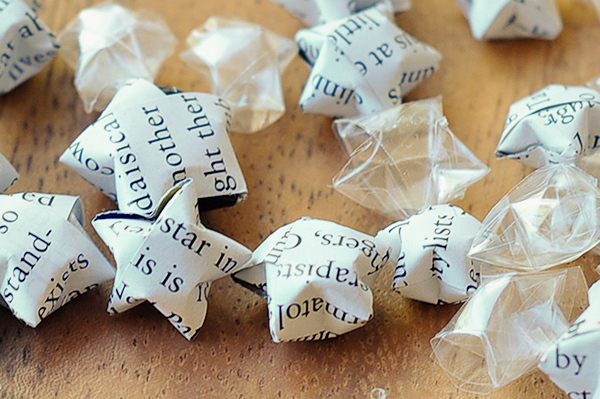 So Now What Do I Do with All These Cellophane Stars? 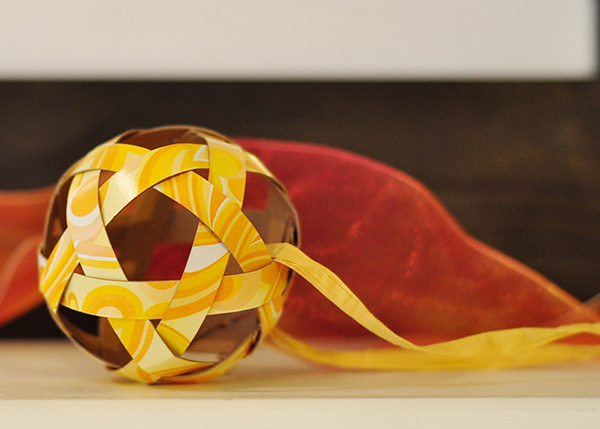 In my previous tutorials I showed you how to fold stars and cranes out of cellophane. 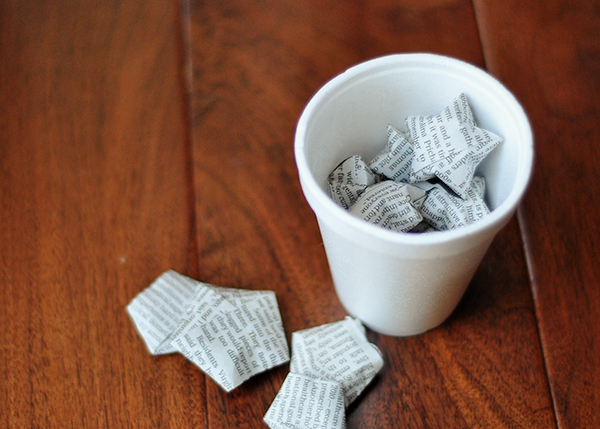 One question you may have is what do you do with these things now? 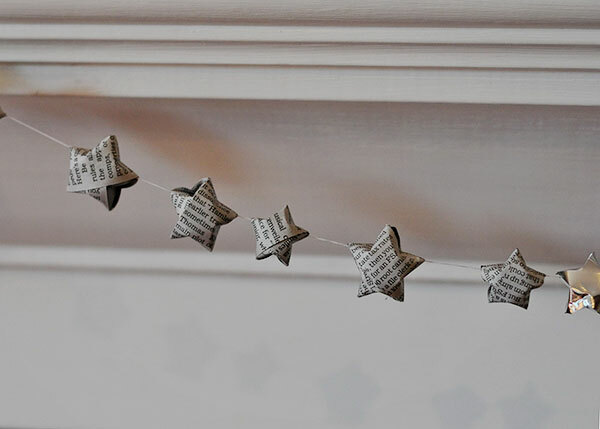 Here is what I plan on doing with the stars and cranes. 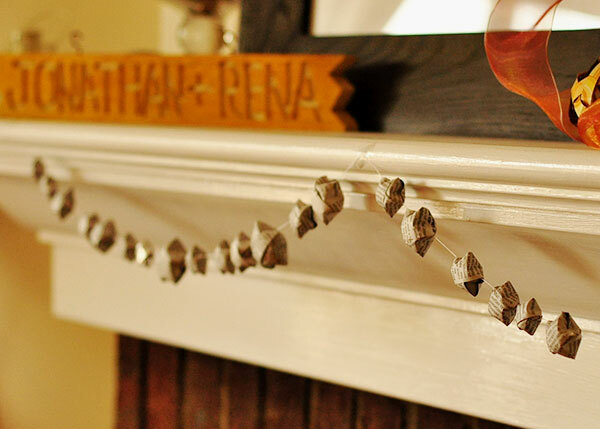 For the cranes I simply string them with thread and hang them as Christmas ornaments. 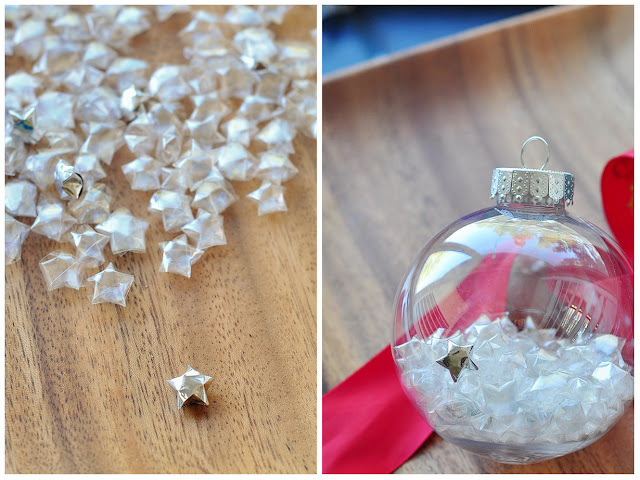 For the stars you can buy those clear glass ball ornaments and fill them. 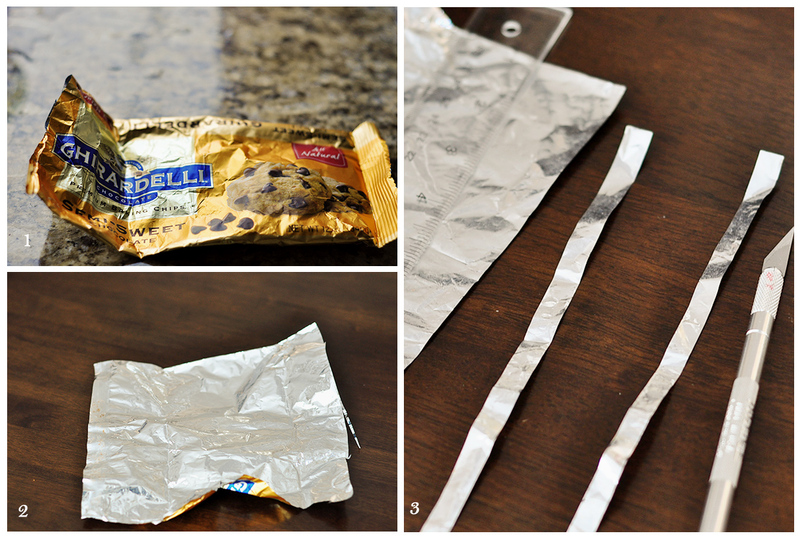 I also up cycled metallic packaging from a chocolate chip package (you can also use potato chip bags) and made more stars out of those. 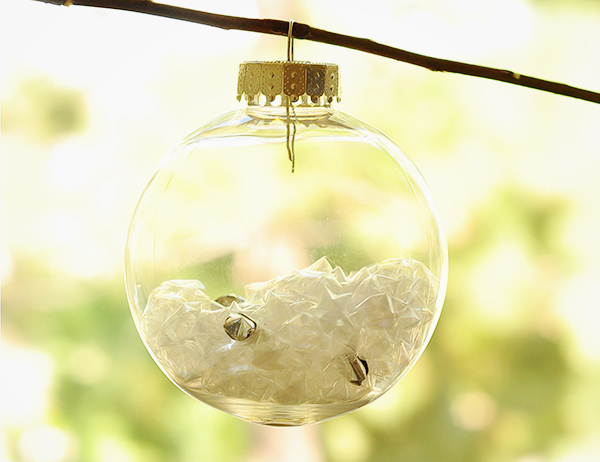 Another idea for the stars is to string them all with thread and use them as garland around the tree. 1. Take any packaing with metallic background. 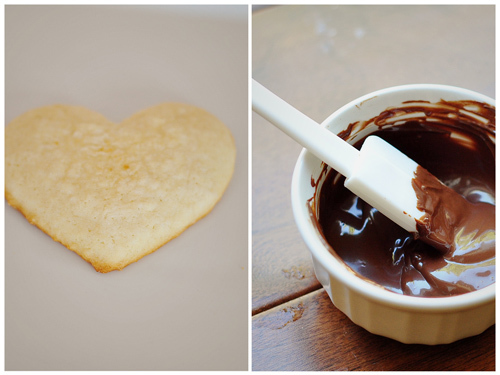 I used chocolate chips, potato chip bag works also. 2. Cut open and clean the inside. 3. 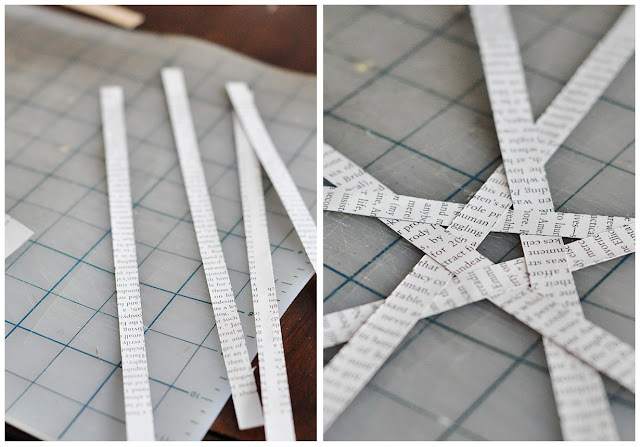 Cut into strips and follow the star folding instructions. 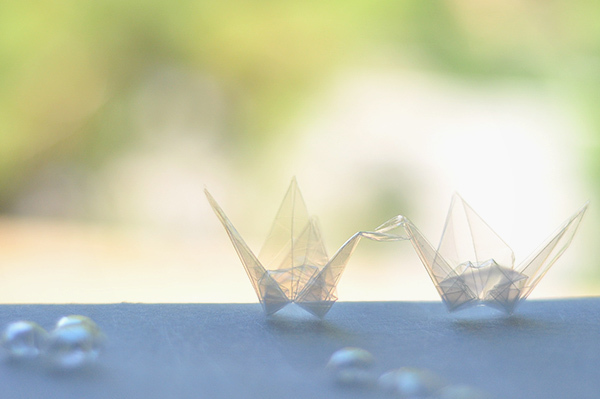 When I was a nine years old, my cousin told me that anyone who folds a thousand cranes would get one wish. 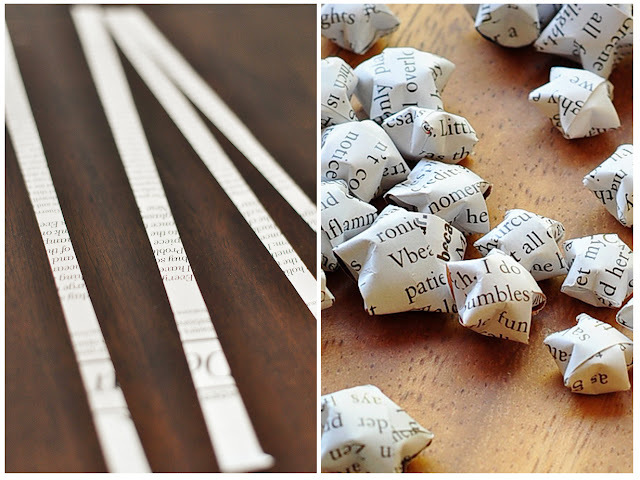 Foolish as I was, I sat in my room for countless weekends folding paper cranes. What was I going to wish for? A childhood crush to reciprocate his feelings. I never did make it to a thousand cranes. My hands started cramping up at a couple of hundred and I ran out of space to store the cranes. My childhood crush never did reciprocate, but one good thing did come of it all - I'm am very good at folding paper cranes. 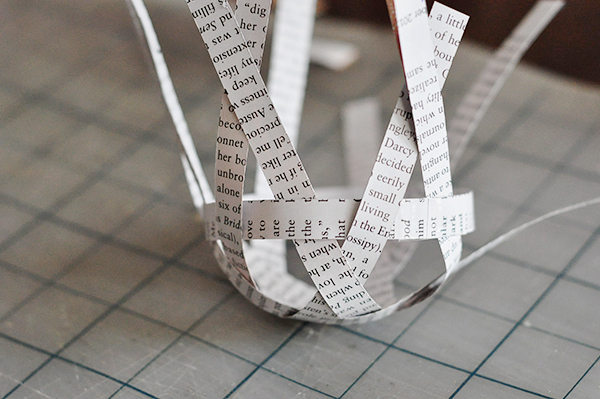 But a paper crane, that's too boring for this blog post. There are tons of how to's online. 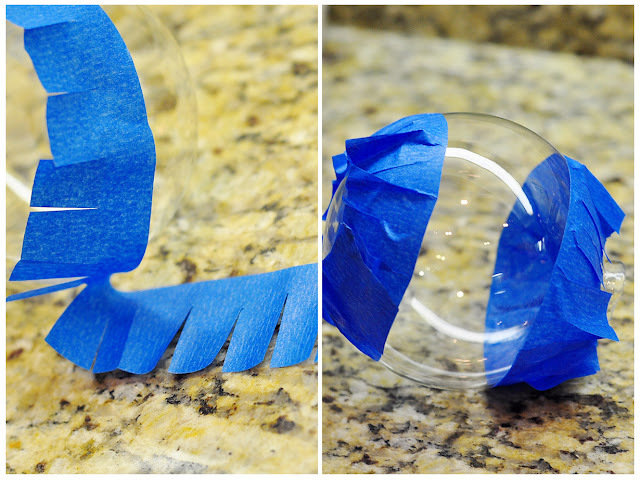 For this tutorial, I want to show you how to recycle old plastic cellophane packaging into a glass like crane. 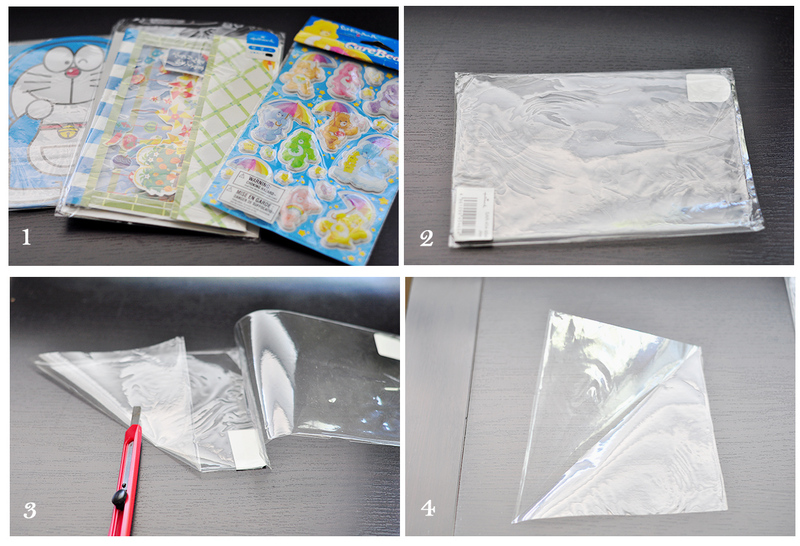 Instead of using origami paper, I used a piece of cellophane packaging from a greeting card. You can use any cellophane (from flower wrapping, the packaging of stickers, stationary etc). You just want to make sure its not to thin (do not use saranwrap, it will not work). 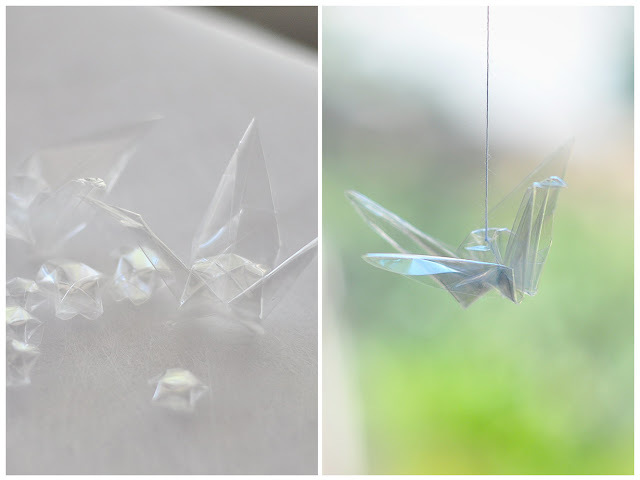 Cut the cellophane packaging into a square and follow the crane origami tutorial (different link from above, same concept). 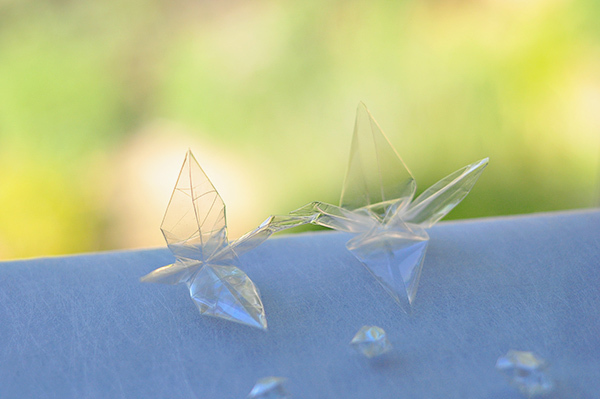 The clear plastic sparkle and glisten in the light making them looks as magical and mystical as I once thought they could be. 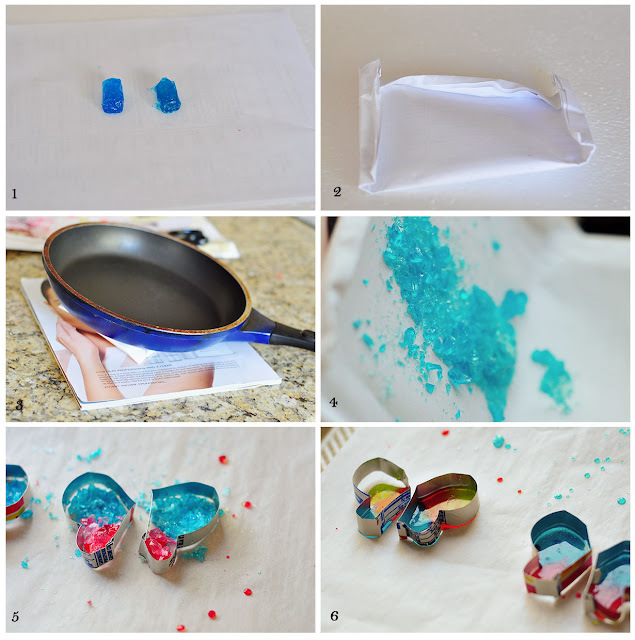 Stay tuned for the stars cellophane tutorial. I'm a guest blogger at Once A Mom. Come and check me out to see how I dip sugar cookies into chocolate and decorate them with gumpaste flowers.